I’m a huge fan of David Lynch. I’ve seen all of his movies a couple times and Twin Peaks was the greatest TV show ever. I can’t pretend to fully understand the mind of Lynch, but it’s fun for me to try. 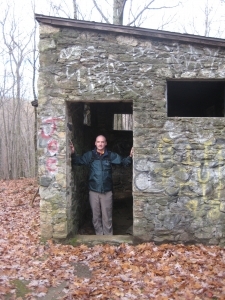 This really cool section of the Tunxis trail system was really quite a Lynchian experience for me and Rob Y, who had joined me for the hike. All the elements of a Lynch movie were there – alone in deep dark woods, entire hillsides blackened from a recent fire, a somewhat creepy historical site with a fire ring in it, a run-in with a very nonchalant government worker in the middle of the woods, flame licking our boots here and there, hyperactive slightly-off fire warden with perfectly slightly-off tastes in car decor, a mini horse and pot-bellied pig, and a backwards talking dwarf. We hiked in, past the White Dot junction and east towards the beginning of the Yellow Dot. It was right at this point that Rob and I noticed the smell of a campfire or wood burning stove. Neither of us said anything about it nor found it the least bit odd. We hiked onward. 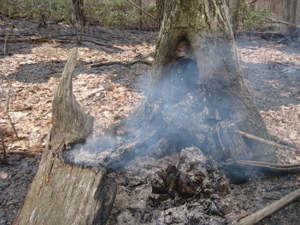 As we crested a small rise, we saw some smoke and then a charred and smoldering tree stump. “Hmm, that’s not good,” I said. “Careless campers,” mused Rob. 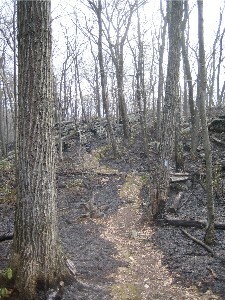 So we walked off the trail and checked it out – not too bad, just some a couple tree stumps and – hey, look over there, more stuff smoldering. We decided it wasn’t “on fire” really so we hiked about twenty more feet which got us to the beginning of the Yellow Dot. 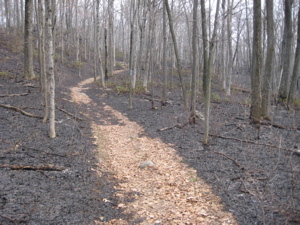 More smoldering sections and larger patches of black. “Let’s call someone.” So we did. Note: If reporting a forest fire in central CT, literally feet from three other towns (Harwinton, Plymouth, Bristol) than the one you are actually standing in, expect to get bounced around between different police and fire departments. A lot. Rob, a trouper through and through, stuck with it and finally got in touch with a lady at the Burlington PD. 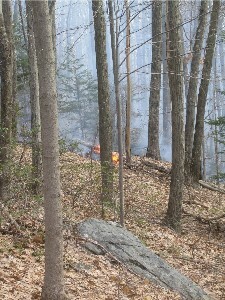 Just then, I headed north on the Tunxis Mainline a bit up towards Tory Den and noticed that the entire forest for as far as I could see was burned up. Now, keep in mind about 97% of the trees were still standing and the soil wasn’t burned more than a few centimeters, but all the leaf litter and brush was burned up and/or black. 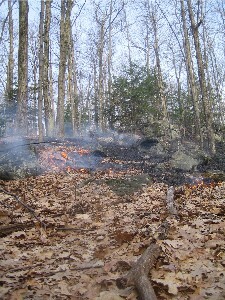 So I’m not pretending this is anything like a real wild fire, but it was still very surreal for us. The lady on the phone told us that they were aware of the fire and the state DEEP had been out all day yesterday working on it. Okay, cool. Back to the mainline trail and west towards the Mile of Ledges, “the most rugged section of the entire Tunxis Trail system!” I’d been joking with Rob all morning that “the most rugged section of the entire Tunxis Trail system” was on the horizon – little did I know that smoke and ash would make it all the more rugged. 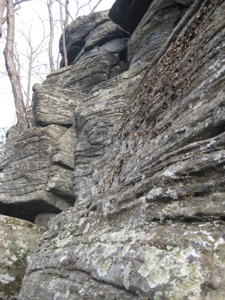 The Mile of Ledges is really fun and interesting. 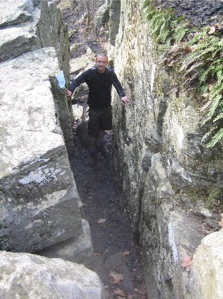 Under normal circumstances, when the soot and junk is gone, this is an awesome little hike through here. It actually is fairly rugged, but nothing insane at all. Unless it’s on fire – that would be pretty intense. And we were pretty close to experiencing that. Once towards the end of the little box canyons and cliffs, we rounded a bend and looked down towards a little lake and – flames! Fairly significant ones at that. We were told to call the police/fire back if we saw flames. As we looked north we saw more smoke and decided that we should probably hike onward and worry about calling after we were sure to be safe. As we called the important people, I saw a single gentleman trudging through the woods towards the fire and us. I pinpointed our location to the phone lady and then we went to talk to the guy. 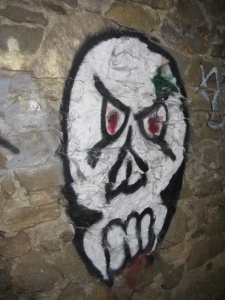 He was a nice guy but sadly had difficulty pinpointing his location on his highly detailed topo map. I helped. I love this picture. I did ask him before I took it at least. Rob and I didn’t hang out too long as getting burned alive while teaching a state worker how to work wasn’t in our plans. We walked off and noticed our new friend just sort of staring at the flames. We moved on. Soon, we reached the south end of a beaver pond which, like all active beaver ponds, forced the trail to move back and up several times in the last few years. This was when Rob asked me what a fish says when he bumps his head on a wall. The trail skirted the pond and it was all quite pastoral to say the least. Soon we were approaching Greer Road and were greeted by a young fire chief or police guy of some sort. I don’t know, as he didn’t introduce himself at all and only seemed interested in my trail map – even asking if he could have it. Odd. Then we noticed his little Acura had a cheap plastic gold license plate frame. I’ll leave that alone. A short little road walk down Greer to cross West Chippens Hill Road. 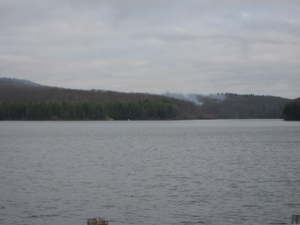 We noticed the fire engines/firemen standing around in the staging area to fight the fires up the road a bit. Their coffee looked tasty. 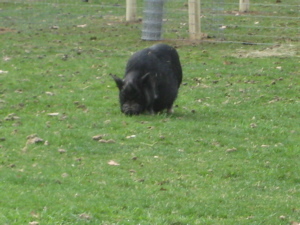 We crossed over a lawn after passing a weird little menagerie of mini farm animals. I’m telling you, this was a crazy hike. Cross East Chippens Hill Road, swing left and follow the trail straight into… the lake. Yes, beavers were up to their tricks again and the trail has been swallowed up very near it’s swing back towards the road. 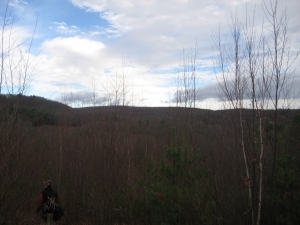 Around the “Beaver Marsh Complex” and through some flat hardwood forest land and then we entered Sessions Woods Wildlife Management Area. Are there robot deer on the loose? Horrifying! 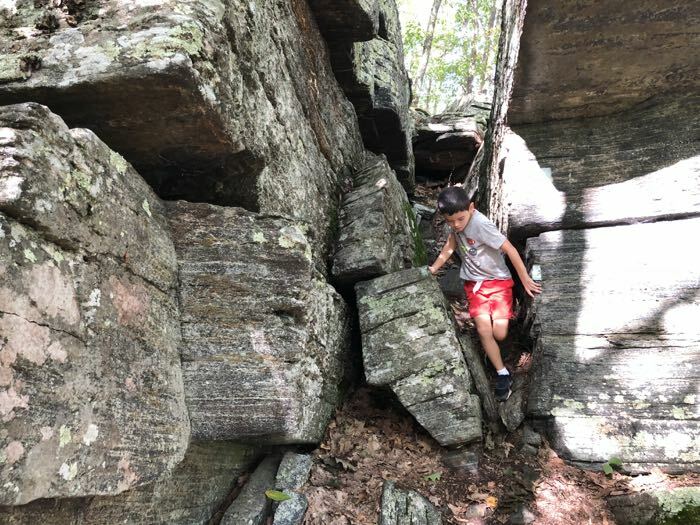 We ended our day at the Sessions Woods nature center parking lot – one of the best nature centers in the state by the way – Here’s the CTMQ Visit to the Center and here is my page on all the trails there. 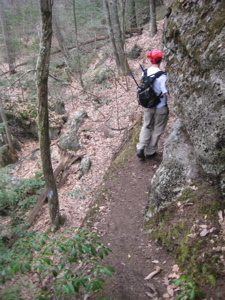 This was a great hike through some really, really cool stuff. 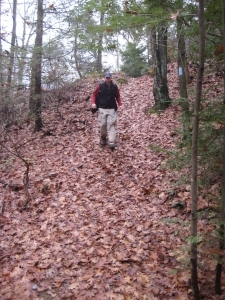 Burlington offers many loop options as I’ll be exploring in my regional hikes. The Day’s Finish as Sessions Woods! 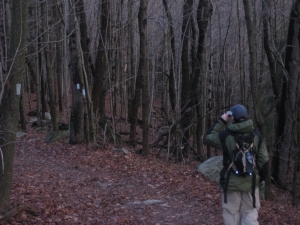 It had been nearly a full seven months since my last Tunxis Mainline Yellow Dot foray with Rob Y. 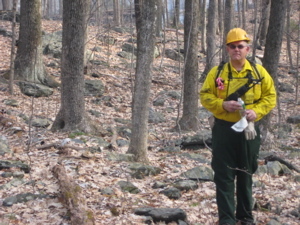 Back in April, we hiked through an actual forest fire. Now in November, the fires were all gone, but surely we’d encounter some weirdness still, right? Nope, no fire this time out; this short and easy section was plagued with the harrowing natural phenomena known as light winds and wet leaves. Spoiler alert: We survived. Rob and I spotted a car on Route 4 (the same place I hiked from when doing the North/East Tunxis Regional trails) and then drove to where we last left off; Sessions Woods Nature Center. Which reminds me, for such a nice and quite large nature center, I find it absurd that it isn’t open on weekends. Granted, the miles of trails all around it are always open, but I think it’s crazy that this place is always closed. Anyway, at 7 AM on a Sunday morning, Rob and I were only looking to hike. I’d warned Rob that this section would be quick and rather featureless. 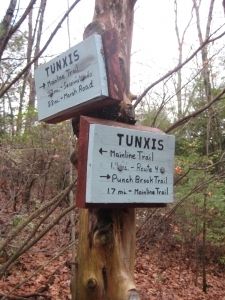 I’d already done some of it out of necessity while hiking other regional Tunxis trails and knew from the maps that much of this stretch was along old woods roads. No matter, it’s always good to hike with Rob as the conversation is always good. That… and he’s willing to meet up with me at 7 AM on a cloudy Sunday morning. Always a plus. My low expectations proved spot-on as we simply walked along wide trails and barely changed altitude. 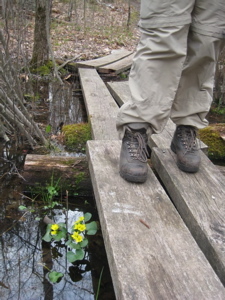 We crossed Whigville Brook on two railroad ties that apparently have the name “Baba’s Bridge.” I don’t know why. It was around this time I realized that I could make this whole section a photographic study of Rob’s back. I seemed to be taking a lot of pictures of that particular subject. 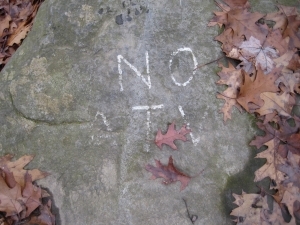 We crossed the Orange Dot Trail that takes one to Devil’s Kitchen at an intersection in the woods named “Clark’s Corners.” This is interesting in that no one lives here, but it has a name like someone does. Weird. After that and a short hike up Cornwall Road, which is merely a wide dirt path, we hit the paved end of Cornwall Road and the large house someone is building there. It’s cute how he had to knock down 800 trees to build his house out here in the woods of Burlington. [2015 Note – yeah, I’m sure this area is different now.] 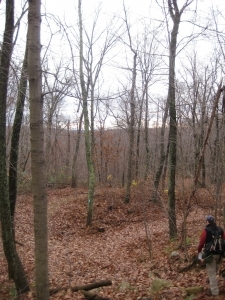 The trail leaves the road, crosses another little stream, then ascends slightly up into Nassahegan State Forest and the intersection with the Green Dot Trail. A jog to the east, a short descent down to Stone Road (which is actually a crushed stone road – I wonder if they purposely don’t pave it for that reason) and then a short road walk north. In 1934 the federal government built a camp here for elderly itinerant men. This “jail” is the only remaining camp structure and as you can see, is a fun place for kids to spray paint and drink beer. There is a fairly deep little pit here too, in which Rob and I saw a bunch of computer cleaning spray cans. It’s exciting to know that there are huffers in the Burlington woods. Seriously, is there any worse way to get high than inhaling toluene? Ugh… Kids, get some help. 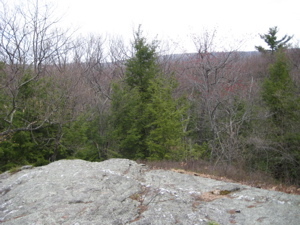 The second half of our hike was all within the Nassahegan Forest and stayed clear of roads. 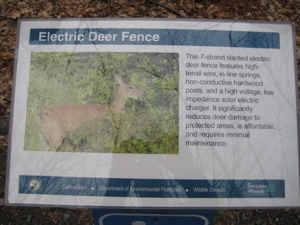 It crosses a few, but doesn’t hike along any save for the 100 yards on Punch Brook Road. There are some highly unnecessary ups and downs of course, “just to let us know how out-of-shape we are,” in Rob’s words. 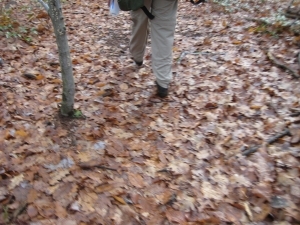 As I mentioned, the ever-present danger of slippery wet leaves tormented us with every step. There was only one short steep section where each of us had the camera at the ready in case the other slipped, ensuring minutes of hilarity. However, neither of us bit it and we continued northward. 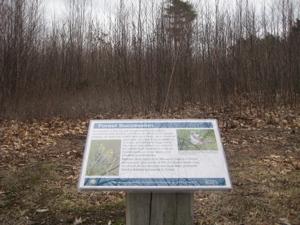 There is a pretty cool little area here, south of the White dot intersection, south of the Punch Brook Trail intersection, and north of the logged area. 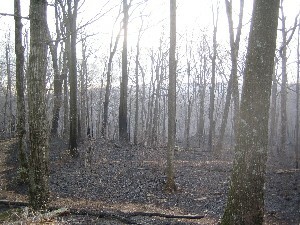 About 15 years ago a near-tornado swept through here knocking down all the larger trees for the most part. So now, the regeneration is in full swing and it’s kind of interesting to explore. Also, because there are no trees, there’s actually a slight view north where there really shouldn’t be one. 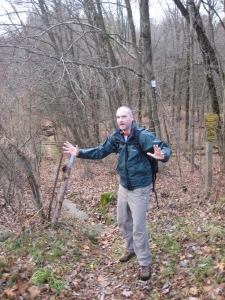 After that, we hiked down towards the state fish hatchery land (CTMQ Visit here!) 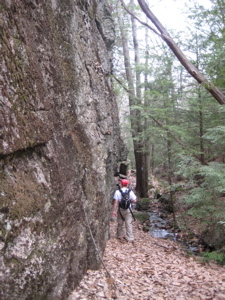 and outflow and then up out of the woods to our waiting car. So there you have it. The “new” Tunxis Yellow Dot Trail, which was the dead-end Tunxis Mainline for many, many years. 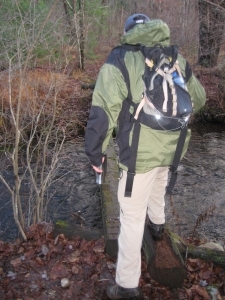 I like the change, as the “losses” like the Mile of Ledges, Sessions, and the old jail sort of fade when one now considers that one can continuously hike from Marsh Pond in Plymouth/Bristol up to the Massachusetts border with no breaks. 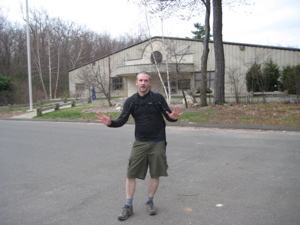 After this hike, Rob dropped me off and I completed the 3 mile Nature Center Connector piece of the Tunxis in Burlington – the last three miles of the 30 or so in Burlington. 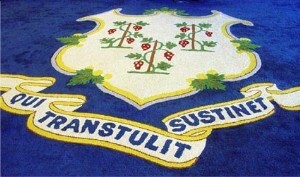 Over the year I took to knock out all of the Tunxis here, I came to really enjoy this unique town in central Connecticut that stubbornly sticks to its rural roots more than any other town in the greater Hartford region. Though I will say that the Burlington Trails are best enjoyed in various loops with a knowledge of the local history I think.